Daihatsu have built up a name for selling well made and innovative cars which often fill small niches within the motor industry. 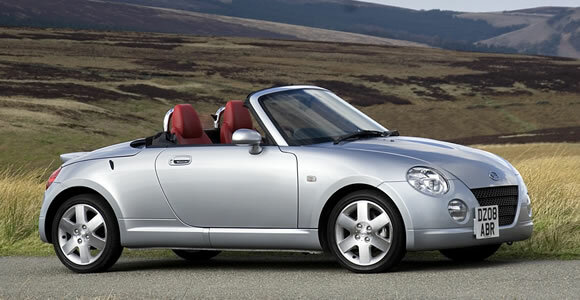 The Copen has been a great success starting out as a ‘kei’ car in Japan with limits on size and power in order to reduce its tax bill. It was also a hit in Europe where its traditional roadster style, folding hardtop and great value found a welcome home. Daihatsu are working on a replacement with the D-X concept released at the Tokyo Motor Show in 2011. As of January 2011 Daihatsu Motor Cars has ceased to trade within Europe due to unfavourable currency exchange rates.